Fintech firms are disrupting the long-standing banking value chain. transfer of funds and significantly lower transaction costs for customers. efficient digital services from the current brick-and-mortar model. also present causes for concern. forecast of customers’ credit demand and credit risks. polarisation, resulting in political gridlocks. low-cost financial services for deposit, payment, insurance or loan products. options and solutions to meet varying requirements of individuals. financial security as they age. and initiatives taking place in Thailand and around the region. invoice financing through common supply chain platform. eight banks to offer QR code payment services through PromptPay system. 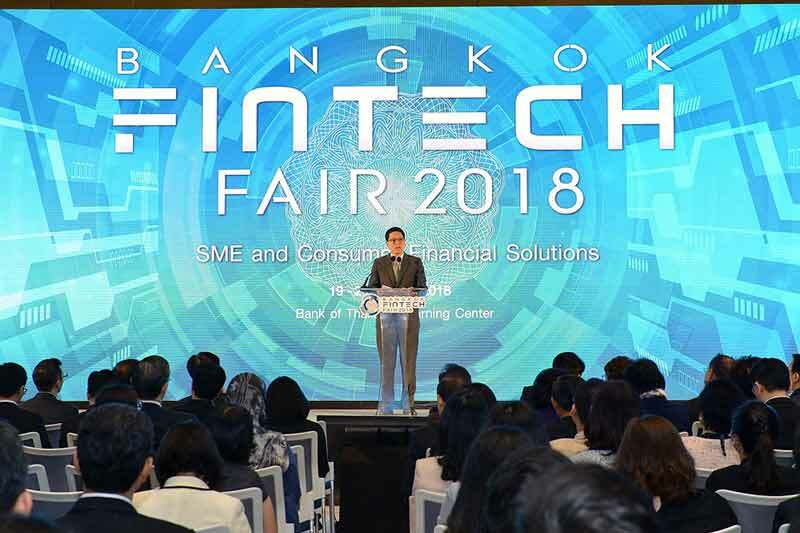 payments for over 39 million registered IDs in Thailand.